Showing 8 articles from January 25, 2014. Starting Beekeeping classes are being offered for free by the Willapa River Beekeeping Club and the Willapa Valley Grange. With the ongoing debate about income inequality and increasing the minimum wage, it’s important to revisit the basics. In order to demand a wage increase, you must first have a job. In order to have a job, someone must create that job. In order to create that job, someone must start a business. What is the Real Price of Gas? Washington State lawmakers have increased the gas tax 19 times since 1921. State officials currently impose a 37.5 cents per gallon tax on gas and federal officials impose an 18.4 cents per gallon tax. AAA recently reported the average price of gas is $3.31, but the real price is $2.75 before taxes. The Pacific County Emergency Management Agency will be coordinating an Animal Emergency Plan Workshop on February 4 at 9 a.m. in the Commissioners Meeting Room at the Pacific County Annex located at 1216 W. Robert Bush Drive South Bend. 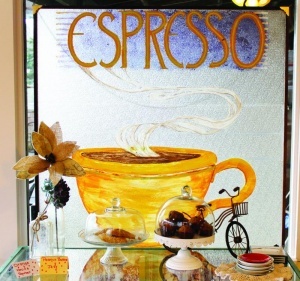 Photo by Scot Pearson Espresso, treats, teas and now flowers will be offered as the Elixir goes under new ownership. Nancy Nisbet has brightened up the sitting area and really is the place to get a “Brew with a view”. SOUTH BEND – Now tagged as the best place in town to have a “Brew with a View”, the Elixir Espresso shop is under new ownership. Monday, February 10 - 7:00 P.M.